This scholarship was established by Leonard and Beverly Woodward of Rome, Ga. 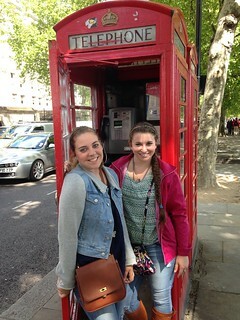 It will award $5,000 to one student annually to study abroad in England. The grantee will be referred to as the "Woodward Scholar." For more information and application deadlines, contact Dr. Ruth Looper or click here. ISA awards over $600,000 in grants and scholarships to participating students each year. Eligibility criteria differ for each award—be sure to carefully read each description. Click here to view each scholarship description for eligibility requirements, application materials and required documents. There are many scholarships available through outside organizations that students can apply for independently. These scholarships are awarded for one semester or year-long study and are highly competitive. Students should start researching and apply for these scholarships early. Established under the International Academic Opportunity Act of 2000, Gilman Scholarships provide up to $5,000 for American students to pursue overseas study for college credit. Funded by the National Security Education Program, these scholarships provide up to $10,000 for a semester or $20,000 for the year to U.S. undergraduate students to study abroad in areas of the world that are critical to U.S. interests and underrepresented in study abroad, including Africa, Asia, Central and Eastern Europe, Eurasia, Latin America and the Middle East. Western European countries, Canada, Australia and New Zealand are excluded. Preference will be given to applications for a full academic year of study abroad. The Freeman Foundation offers scholarships for students looking to study abroad in East or Southeast Asia. The scholarship awards up to $5,000 for a semester or summer term abroad, or $7,000 for an entire academic year. Scholarship recipients are required to undertake a service project upon their return to the United States. As the nation’s leading Hispanic higher education fund, HSF works to address the barriers that keep many Latinos from earning a college degree.In addition to scholarship opportunities for deserving Latino students, we offer a broad range of outreach and educational programming to help students and their families navigate through the rigors of college life. The Phi Kappa Phi Honor Society offers 45 $1000 dollars grants each year to help support undergraduate students that want to study abroad. Students must show proof of acceptance into a study abroad program; have a cumulative GPA of 3.5 or above; have between 30 and 90 semester hours; and have at least one year's study left at their institution after studying abroad. Many local chapters of the Rotary Club have funding for study abroad. One of their scholarships is called the Ambassadorial Scholarship. Rotary Foundation Ambassadorial Scholarships is the world’s largest privately funded scholarship program. There are several scholarship and financial aid opportunities for U.S. students who plan to study in Israel. Click here for more information from DiversityAbroad.com, or click here for more information from MASA: Israel Journey. The UNCF Program Services Department administers various scholarship programs. Each program has its own eligibility criteria, open/close dates and required documentation. To apply for a UNCF scholarship, students must apply through the online application process.